Harlan, Thomas. 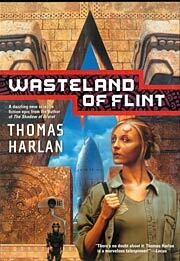 Wasteland of Flint . Tor 2003. What if: Japanese refugees discovered North America in the early 1200s. 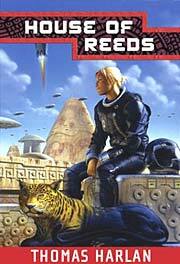 Summary: Set in the starfaring 25th century (CE) of an Earth dominated by the Aztec and Japanese empires. Series note: Series including Wasteland of Flint House of Reeds , and Land of the Dead . Three others — River of Ash , Rising Wind , and Abyss of Storms — were also originally announced but were never published. Comments: The gap between divergence and setting is so large and the intermediary period so vaguely described that the allohistorical quality of the books is tenuous. Series note: First book of The Time of the Sixth Sun. Published: Tor 2003 (076530192XBUY), 2004 (0765341131BUY). Harlan, Thomas. House of Reeds . Tor 2004. Series note: Second book of The Time of the Sixth Sun. Published: Tor 2004 (0765301938w88 androidBUY), 2005 (076534114XBUY). Series note: Third book of The Time of the Sixth Sun.